World Vision has helped impact millions of lives through transformational gifts from philanthropists — evidence of God’s faithfulness. Today, more families have access to clean water along with new hope for healthy futures. Parents are better equipped to earn incomes that meet their children’s basic needs. Children are protected and nurtured, while they are growing in their Christian faith. A new day is dawning for a generation of people. In the last 20 years, the number of children dying from preventable causes — from hunger, poverty, and disease — has nearly halved, going from more than 30,000 a day to under 15,000. The number of people living in extreme poverty, those living on less than $1.90 a day, has dropped by more than 1 billion. For the first time in modern history, the world is coming to the collective realization that it is possible to end extreme poverty in our lifetimes. And you can be part of it. Supporting the 2030 Sustainable Development Goals, World Vision is dedicated to keeping this momentum going to help end extreme poverty in all its forms, everywhere, by 2030. 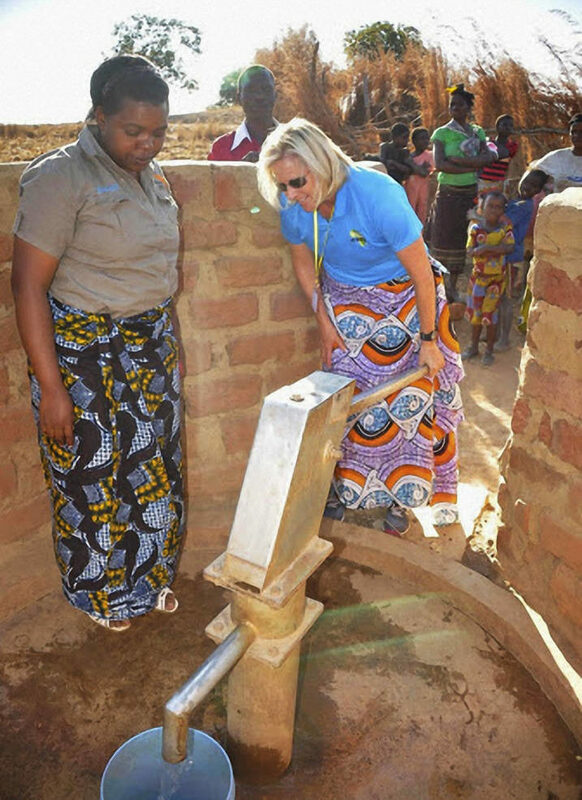 Driven by a $40 million gift to its water programs by Dana and Dave Dornsife — which Forbes magazine and The Bridgespan Group ranked as one of the top five most promising philanthropic big bets for social change — World Vision announced in September 2015 a commitment to reach everyone, everywhere we work with clean water by 2030. Audacious ventures are challenging, but history shows we can succeed. Together, we have impacted the lives of more than 200 million vulnerable children by tackling the root causes of poverty. From 2010 to 2015, World Vision’s first capital campaign raised nearly $538 million and reached nearly 26 million people. That’s more than 500 people every hour for five years. Now, World Vision is the leading nongovernmental provider of clean water in the developing world. Every 60 seconds, a family gets access to clean water, a hungry child is fed, and a family receives the tools to overcome poverty. A 2017 Bridgespan study of 15 of the greatest social impact stories of the 20th century reveals the majority of initiatives took at least 20 years to achieve success and involved at least one philanthropic investment of $10 million or more. Results: Water projects from this investment are estimated to bring clean water to 200,000 people. Professional golf is a male-dominated sport, and for World Golf and LPGA Hall of Famer Betsy King, she can point to golf as the source of the only discrimination she has ever experienced. Growing up, she wasn’t allowed to play on the boys’ golf team. Then as a professional golfer, the money she made was only a fraction of what the men made for equal work. Based on this conviction, Betsy’s retirement from the LPGA tour was anything but a retirement. In August 2005 after 28 successful years and 34 tournament wins, including six major championships, she began a journey to create her own nonprofit, a journey culminating with a goal of raising $10 million over the next five years to help World Vision reach everyone, everywhere we work with clean drinking water by 2030. 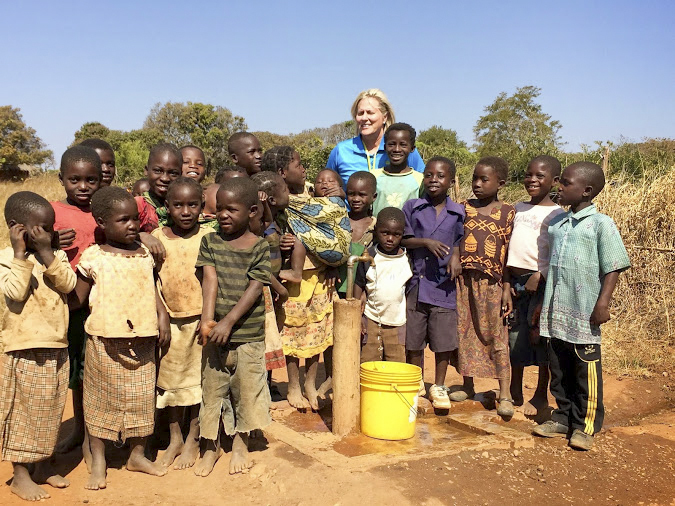 After her first trip to Africa in 2006 with World Vision to see the impact of poverty and HIV and AIDS on women and girls, Betsy founded Golf Fore Africa in 2007 to link her passion for golf with her compassion for children. Over the next 10 years — with the help of an expanding network of advocates, volunteers, and staff — Golf Fore Africa raised more than $6 million, the majority of which has provided clean water to children and families in Africa. This work is helping to lessen the 200 million hours that women and girls spend daily walking for water for their families. 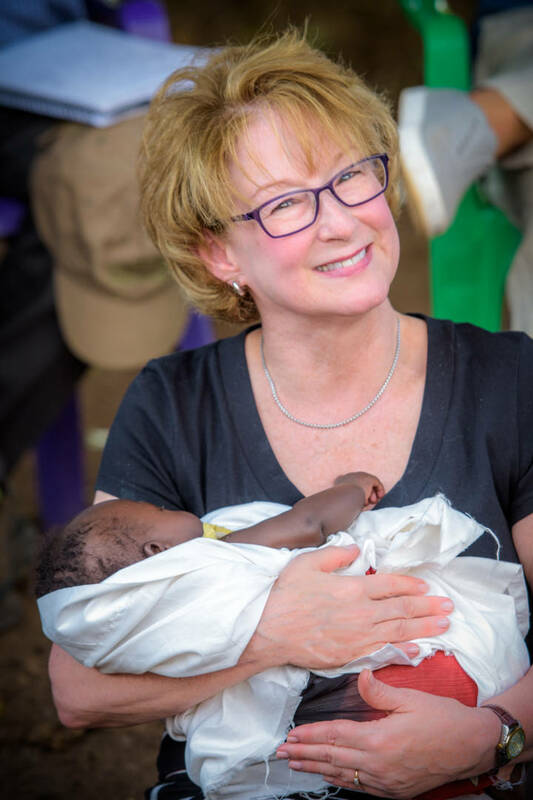 Walking alongside Betsy in this journey is Debbie Quesada, president and CEO of Golf Fore Africa, who traveled with Betsy on that first Africa trip to Rwanda, Kenya, Tanzania, and Zambia in 2006 and helped Betsy launch Golf Fore Africa. Partnering with World Vision was an easy next step. Debbie grew up knowing about World Vision; her grandparents were child sponsors. 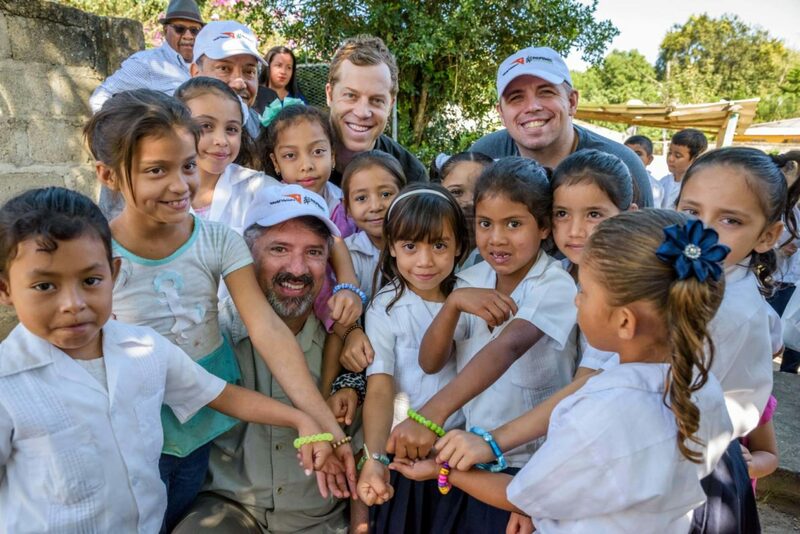 Betsy had already been partnering with World Vision since 2001, and the pair had already worked together to run an online auction of memorabilia donated by professional golfers, with the proceeds benefiting World Vision. 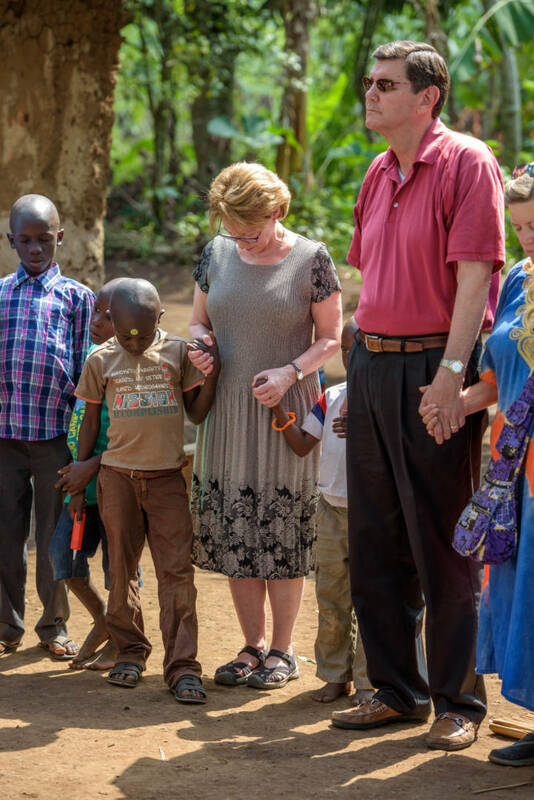 Betsy and Debbie partnered with World Vision not only because of history, but also because of its scale, scope of work, holistic approach to community development, and emphasis on stewardship. 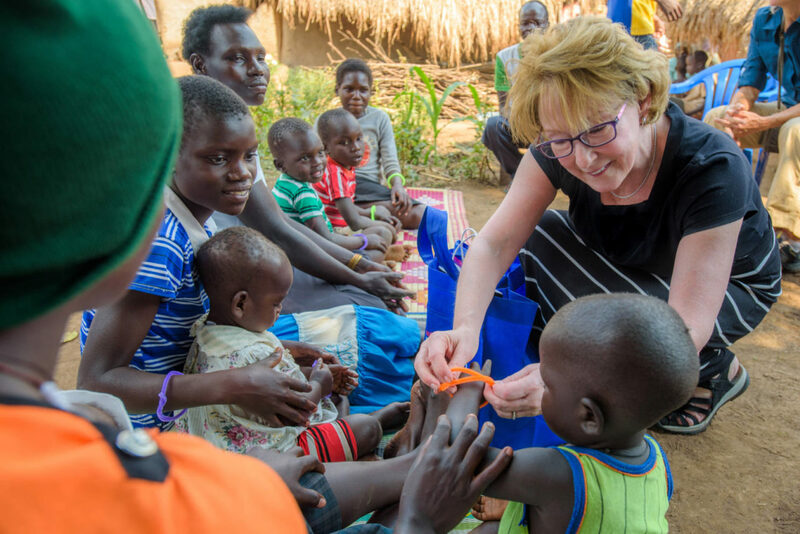 Since 2001, Betsy and Debbie have each taken close to 20 trips to see World Vision’s work — to see “children given the opportunity to actually be children. To enjoy life in all its fullness. To play. To learn. To not have the burden of fetching water every day,” Debbie says. They’ve seen the impact not only on children but on families as well. In 2015, the University of North Carolina Water Institute announced the results of an independent study examining the key factors affecting the sustainability of water sources in rural Africa. The study found the odds of other organizations’ water sources being functional decreased by an average of 2 percent each year, whereas the functionality of water sources installed by World Vision did not significantly decrease with age. An identifiable water committee and evidence of charging a fee for use of the water were the main reasons associated with the continued functionality of the water points. In addition to these best practices, World Vision’s community engagement model also includes training local people as mechanics to repair pumps when they break down, contributing greatly to the longevity of World Vision-installed water points. “I love the excitement involved with the goal of bringing clean water to everyone in the world,” she says. Betsy and Debbie realize how World Vision truly expands the reach of Golf Fore Africa. 7,856 smallholder farmers have improved their agricultural practices using improved seeds, crop storage, and increasing their yield per hectare. 13,418 participants have access to financial services through savings groups and/or microfinance. 9,461 smallholder farmers have increased their produce sales prices by accessing local and regional markets. 39,045 hectares have been planted with new trees and/or regenerated. 1,920 smallholder farmers are receiving early warning information to prepare them for natural events (drought or flooding) or market price fluctuations. 6,000 participants have received empowered worldview training. In 2010, when rereading The Hole in Our Gospel while spending time at Moriah Ranch, his family’s 14,000-acre vacation getaway in Wyoming, Stu Phillips heard God ask him what possession he valued most. Looking at his surroundings, he instantly knew the answer — Moriah Ranch. Empowering people to care for themselves and advocating on behalf of the vulnerable have been lifelong passions for Robin and Stu Phillips. They describe the blessings God has provided them as numerous, extraordinarily powerful, and, as they have discovered, requiring obedience. Now, God was calling them to sell their most prized possession to become more actively involved in what they believe is the greatest systemic social issue of our time — extreme poverty. At first, Stu and Robin questioned the validity of the call. They tried negotiating with God, reasoning — among other things — that the ranch was a legacy for their sons, but none of the excuses offered any comfort. 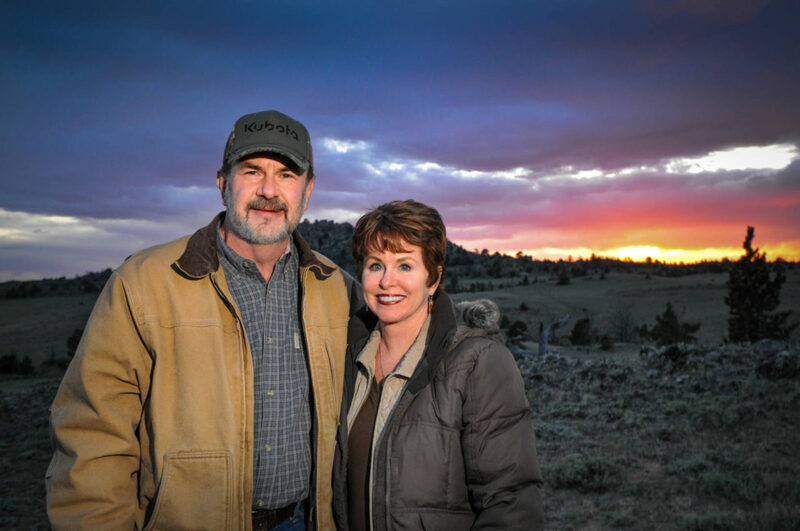 Recognizing that the ranch was God’s possession, Robin and Stu sold Moriah, which means chosen by God, to the State of Wyoming in April 2012. They dedicated the total of their proceeds from the ranch, including the original purchase price, to eliminating extreme poverty. However, over the following years, they’ve watched God work in mysterious ways to honor their obedience — both in their lives and in the lives of people who have heard their story. A deeply personal moment for them occurred while visiting Tanzania to see the impact of their transformational investment. Robin and Stu found places where they looked around and if they didn’t know better, they would have thought they were back at Moriah. It was another gift from God — from the aromatic vegetation that reminded them of sage to the similarity between elk and kudu. No one but them at the time understood the significance of what they were seeing. Robin says that it doesn’t get any better than seeing the faces of the children Moriah’s proceeds were helping. 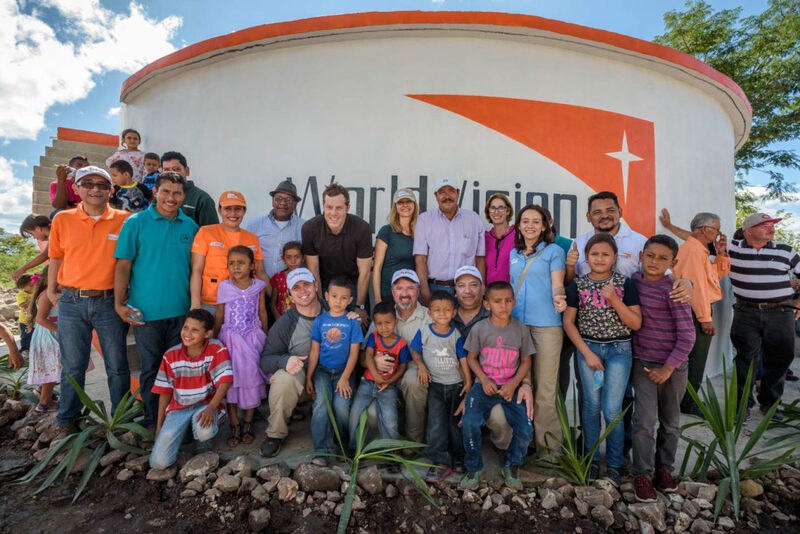 Longtime sponsors of several children, Robin and Stu are also members of World Vision’s National Leadership Council — a core group of passionate and influential donor partners. Their investment of time and treasure toward World Vision’s economic empowerment work has supported the development and expansion of THRIVE — Transforming Household Resilience in Vulnerable Environments — a program that focuses on family-level change and is proven to dramatically increase household incomes, resulting in stronger and more self-sufficient families. One aspect of THRIVE that Robin and Stu are particularly excited about is the foundation of a biblically empowered worldview, based on the understanding that each person is created in the image of a loving and redeeming God, is accountable for their actions, and has the power to shape their own future. That is the first and most critical transformational step in eliminating extreme poverty. Help build improved and resilient livelihoods for smallholder farmers and their families. 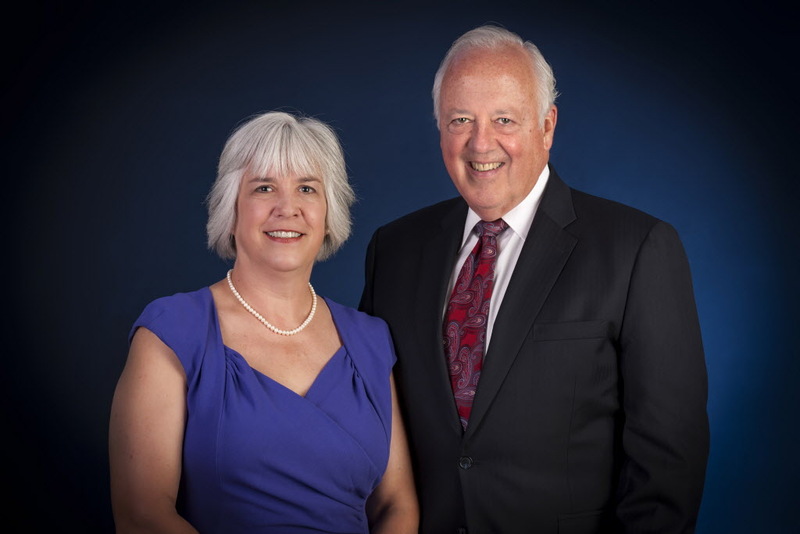 Within six months of that deep conviction from the Holy Spirit, Laura and Robert joined World Vision’s National Leadership Council and made their first transformational philanthropic gift to World Vision. “We were all-in,” says Robert, 63, a former senior vice president at Kimberly-Clark Corporation and most recently the retired CEO of Halyard Health Inc. In their excitement, Laura and Robert told their adult children, Elizabeth and James, about World Vision and its child sponsorship programs. They were surprised to find out that both of them had sponsored children already. But that transition to becoming all-in came with due diligence. What were they looking for? A Christian-based organization. Robert says they clearly saw World Vision was Christian-based from the start. Next came a closer look at World Vision’s finances to make sure they felt good about how their investment would be utilized. In 2017, 85 percent of World Vision’s total operating expenses were used for programs that benefit children, families, and communities in need. Then World Vision multiplies the impact of every $1 donated into $1.30 on average. 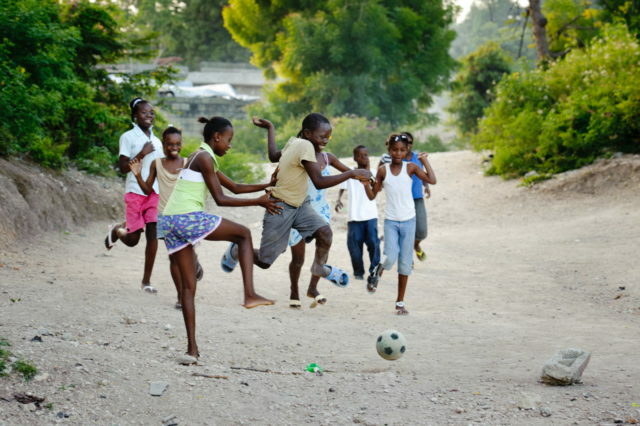 Financially speaking, World Vision also helps round out their investment portfolio. Lastly, they looked for the ability to get results using winning strategies. World Vision’s proven, community-based health approaches aimed at the first 1,000 days of life feature basic health interventions for mothers and babies, including a sharp focus on nutrition (the 7-11 model) and the delivery of timed and targeted counseling and education through local volunteer community health workers who are trained and supported by World Vision. Over the last five years, 89 percent of the severely malnourished children World Vision treated made a full recovery — far above the industry standard of 75 percent or greater. 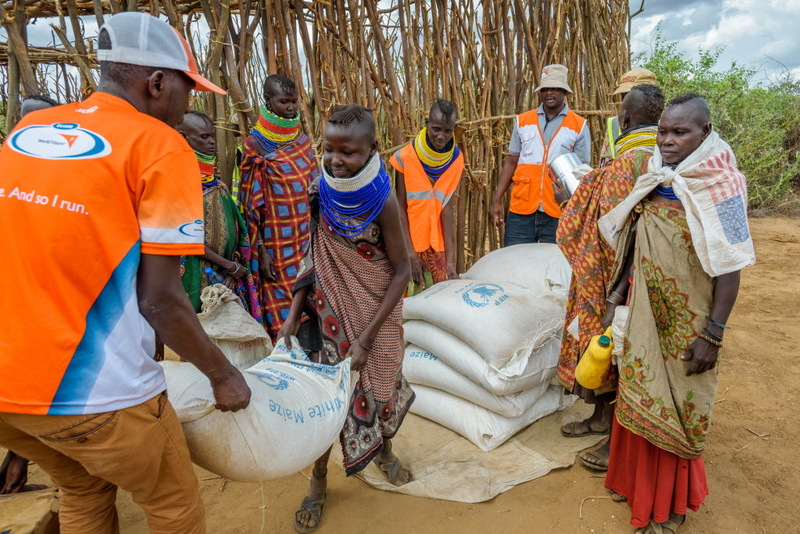 In addition, World Vision supports one of the largest community health worker networks in the world, with more than 220,000 in over 48 countries who can reach 66 million people. They are trusted by the community and are able to reach remote villages, delivering frontline care cost-effectively. Over the span of Robert’s corporate career, their family moved 17 times, at one point living overseas in Australia. Robert has traveled to more than 130 countries and with each trip has brought back stories of desperate situations to his family. 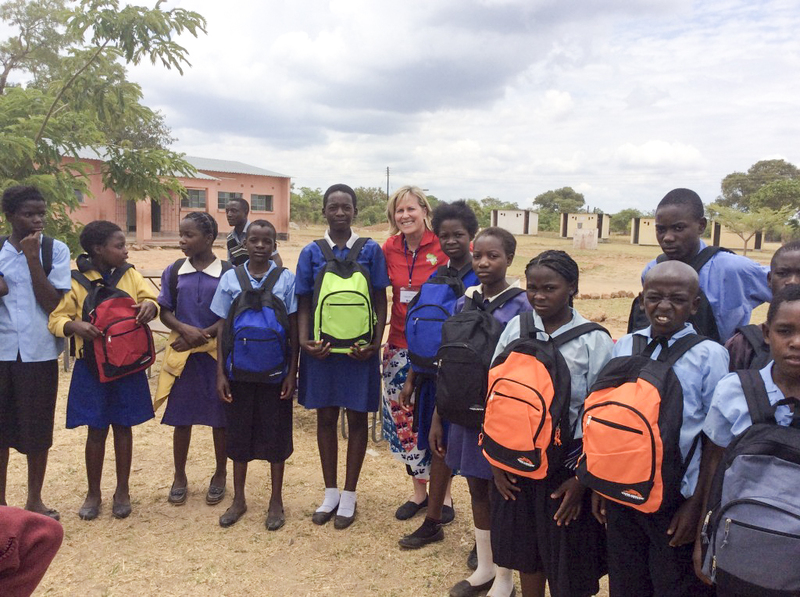 To see World Vision’s work in action, Laura and Robert have traveled to Zambia and Uganda. They’ve not only seen World Vision’s work in mother and child health, but also clean water, economic empowerment, education, child protection, Christian discipleship, and ultimately, how those sectors work together to form a holistic community development model. “They’re so interrelated,” Laura says. “I visited several health clinics that were without electricity. And then I was able to go back three years later and see the difference — see a facility with clean water, electricity, and solar power. And they have — Robert recently joined the World Vision U.S. board of directors. He describes their relationship with World Vision as spiritual, rewarding, and challenging. “You don’t increase your commitment if you’re dissatisfied,” Robert says. And they’re thankful for the partnership World Vision has offered to them. Help eliminate preventable deaths among mothers and children. 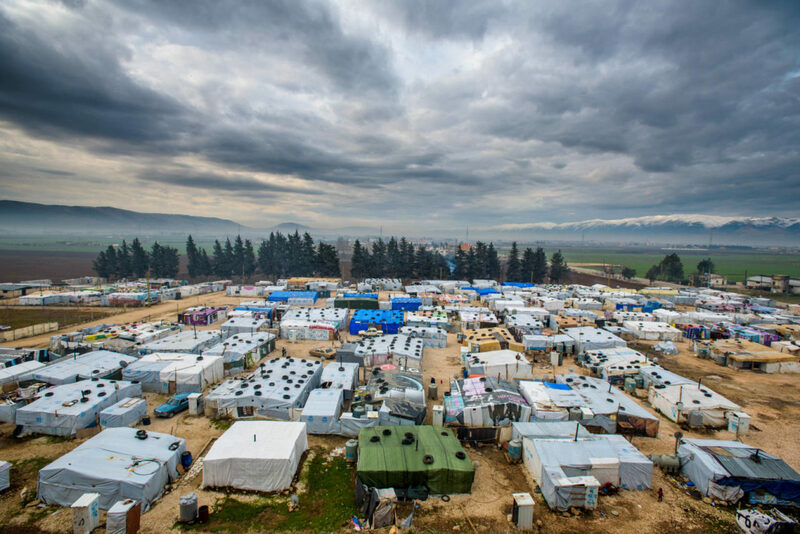 Results: Over the past three years, their investment has helped 21,926 Syrian refugees and displaced people and 28,232 people affected by the East Africa hunger crisis. Halfway through his journey with World Vision, he met his wife, Aimee. She says that being involved with World Vision is so important to Dan, and she has learned more and more about the organization through him. “I soon became just as impressed with World Vision and the good work they do as Dan is,” says Aimee. “World Vision is equipped to help in ways we never could, and our support, combined with many others, is making this possible,” Aimee says. Meet urgent needs of the world’s most vulnerable children. Cody Nath, president and CEO of Refined Technologies Inc. Results: In less than a year, 3,000 people in the Jamastran Valley of Honduras now have clean water. 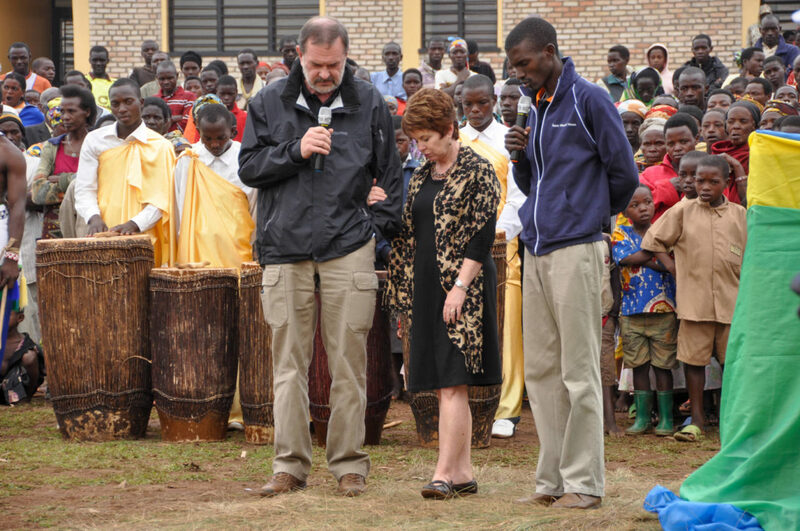 Their gift is expected to support another 34,000 people with clean water. Our partnership with World Vision is incrementally strategic — growing in strategy, trust, and direct involvement. We’re trying to figure out how can we leverage more and more of what we’re doing as a business to make an impact globally with World Vision. 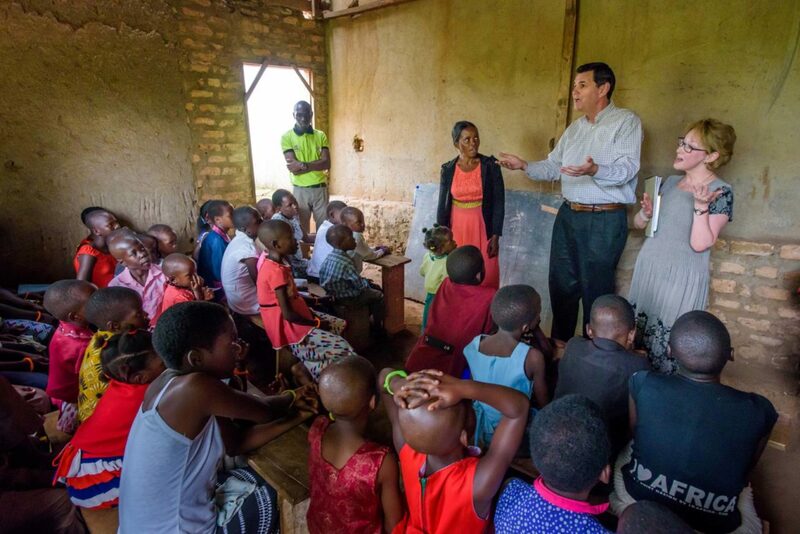 —Cody Nath, president and CEO of Refined Technologies Inc.
Cody Nath, 37, can’t remember a time growing up when his family didn’t have World Vision sponsored children — often two or three at a time. Then at age 14, he traveled with his father, Bill Nath, to Mexico to see World Vision’s work at the time with children living on the streets. Nicaragua came next, then Honduras, and with each trip, the values his parents instilled in him — the importance of missions, prayer, and faithful giving — became ingrained. In 2001, Bill founded Refined Technologies Inc., a chemical decontamination company providing operational consultancy, chemical cleaning, and mechanical rental services to refineries. Cody succeeded his father as president and CEO in 2016. From the beginning, their mission statement leads with, “Honor God always.” Cody explains that this means everything from operating under biblical principles like honesty, integrity, and respect to reinvesting profits for eternal impact into ministry partners like World Vision. “We believe our company belongs to God, and we are simply stewards,” Cody says. “We’re responsible to him for how we use the profits from the business. And as Christians, we know we’re called to give. Beyond the calling, Cody finds the opportunity to give extremely rewarding. “It blesses us,” he says. “We end up benefiting because we’re now giving as a team instead of giving as a family — that’s a very rewarding experience. The Nath family is only a piece of this; we earned these profits as a Refined Technologies team. For Cody, it’s not about work-life balance; it’s all about work-life integration, focusing on incorporating your philanthropic values into your job. Cody’s vision is to engage RTI employees by providing numerous ways for them to participate in the partnership with World Vision and emphasizing how excellent work enables the partnership — employees delivering their daily work translates to dollars for water. Opportunities for employees to get involved include paying a portion of sponsorship for Honduran children, taking brief RTI-sponsored trips to Honduras to see World Vision’s work toward ending the water crisis, distributing co-branded water bottles to clients and partners to share their commitment to help make a difference, and walking in World Vision’s annual Global 6K for Water. So Cody integrated his personal mission with his work at RTI. Over the past five years, Cody broadened his investment to water, sanitation, and hygiene projects, culminating in a $1.1 million gift to World Vision made in 2017. Generous philanthropic gifts like that from Cody and RTI have enabled World Vision to reach 10.4 million people with clean water in the last two and a half years and remain on track to reach everyone, everywhere we work with clean water by 2030 — an estimated 50 million people. World Vision is a proven leader in solving the global water crisis, reaching one new person every 10 seconds. World Vision believes in a big-picture approach to helping communities address critical needs — bringing together all of the pieces — nutritious food, clean water, economic opportunities, healthcare, education, protection, and the love of Jesus — for a full solution to the puzzle of poverty. “World Vision is a place where you can make a significant financial investment,” Cody says. “No investment is too big. They have the structure and organization to effectively use your gifts as they grow over time. 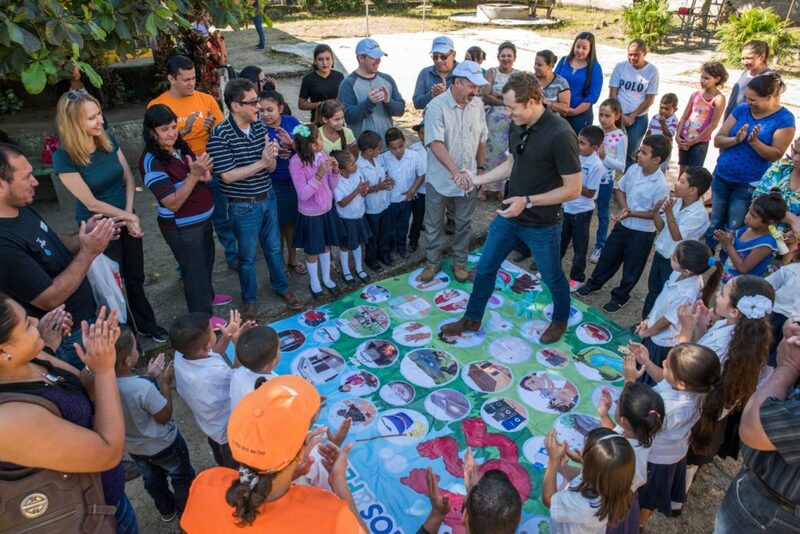 Cody’s life-changing investment truly hit home in January while traveling to the Jamastran Valley of Honduras to celebrate bringing clean water to 3,000 people in two communities — Sartenejas and Zamorano. World Vision has the organizational capacity to execute investments to scale and always with a spiritual, Christ-centered focus. If you don’t have a spiritual component, it’s helpful, but not life-changing. —Cody Nath, president and CEO of Refined Technologies Inc. He also recognizes that the project was not without its learnings and challenges. Now he’s looking forward to additional development work for the families and children he has come to know. David is an aviation consultant and the retired Chief Operating Officer for the Federal Aviation Administration. His previous roles include serving as the FAA’s chief counsel and as the senior vice president of customer experience for Continental Airlines. In addition, he also spent a term working for the U.S. Department of State in Kabul, Afghanistan, as attaché, senior advisor, and coordinator for transportation and infrastructure. He is a graduate of Harvard College and Harvard Law School. 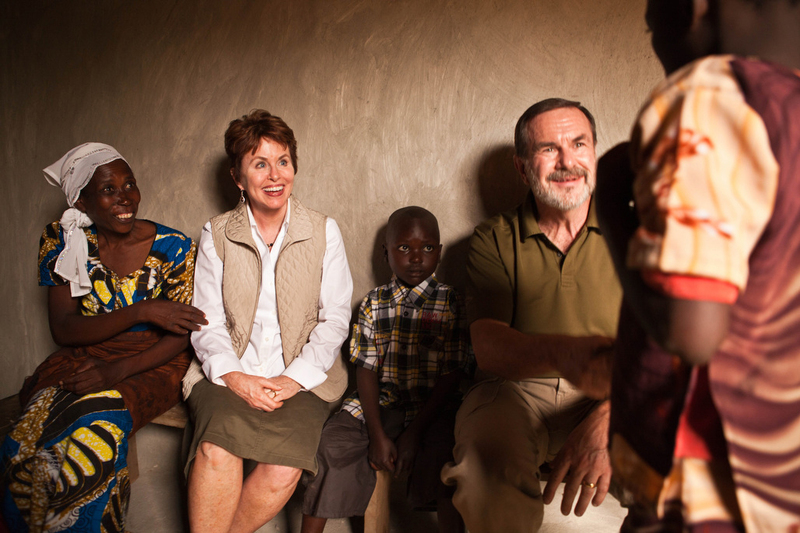 David and his wife, Anne, are part of World Vision’s National Leadership Council. They live in Washington, D.C. and have three sons and seven grandchildren. World Vision is holistic. They offer a multi-faceted approach to reducing poverty and its brutal effects on children, families, and entire communities. As a result, they’re more effective than most other organizations working in the field, which only work on one or two causes and cannot address the complex puzzle of poverty. They’re collaborative. Some organizations aren’t interested in partnerships — they tend to dictate to the communities they’ve come to help. In contrast, when World Vision comes into a new place, they work alongside community members to bring about sustainable, long-lasting change. This inclusive approach sets World Vision apart. Few other organizations have the history, experience, or sheer size of World Vision. They’re big and their roots run deep. All around the world they have access, reliability, and credibility. They’re a trusted partner with local communities, national governments, and global partners. An example of this is World Vision’s work in the most fragile of places, like Syria, where other NGOs have a hard time going. World Vision can be transformative there because they’ve been transforming for nearly 70 years, committed to learning and growing and adapting. I’m living proof that being big and old is not necessarily a good thing, but World Vision uses those two attributes to tremendous advantage throughout the world. Most importantly, World Vision is Word-of-God–empowered. They’re reliant upon God’s word, employing a biblically empowered worldview. God calls us to be good stewards — to take personal responsibility for our assets, talents, family, and community. If you care about serving the poor in the name of Jesus and you want to see comprehensive work crafted on biblical principles, World Vision may be your only alternative. There are opportunities for all types of investors, no matter your passion or risk tolerance. World Vision offers low-risk “blue chip” programs like drilling wells for more cautious donors, and venture capital investments like THRIVE for the more entrepreneurial. There are also options for return periods — from flash returns like water and emergency relief to long-term projects in economic empowerment and education, where results build over time for powerful and lasting change. World Vision is also unique because of its significant absorption capacity. They make it easy for major donors to make the larger contributions that stewardship often demands of those of us who have been blessed with great means. Few organizations outside of universities or hospitals are equipped to accept and utilize substantial donations effectively. No other operating organization focused on eliminating poverty has the absorption capacity of World Vision. What’s holding you back? Fear of Better Options (FOBO)? Some investors may be waiting to give, thinking they might discover a more efficient mechanism out there for the work World Vision is doing. It’s conceivable that you might find one, down the line. But right now, there’s a child dying every five seconds — most often from causes we can help prevent. The good news is that God is not sitting still. He is doing deals right now that you should want to be part of. But keep in mind, once a well has been drilled or a program has been launched, that IPO is closed. Rather than FOBO, you ought to be suffering from FOMO — Fear of Missing Out. 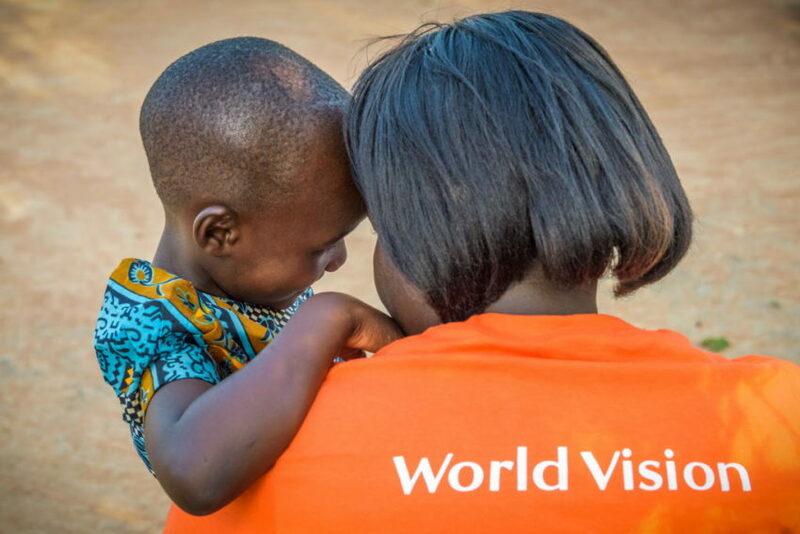 World Vision belongs in every charitable portfolio. 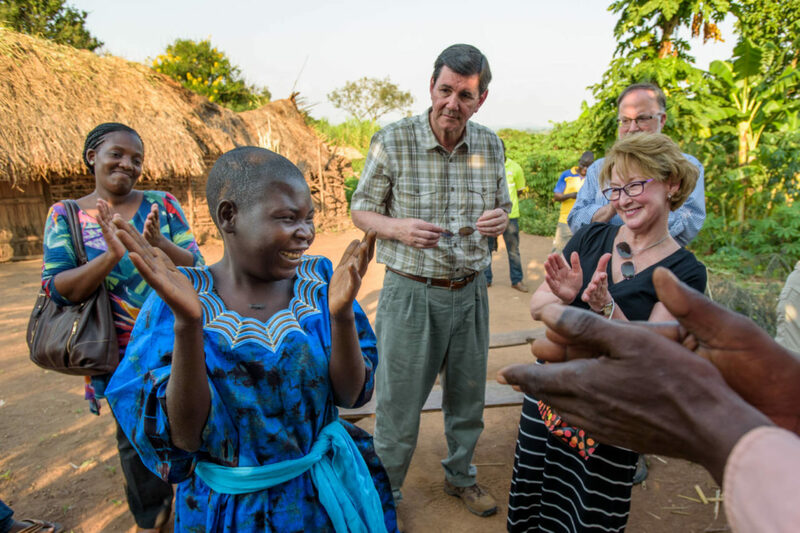 We can’t ignore Jesus’ example or the incredible work being done by Bill and Melinda Gates — poverty reduction must be a high priority for all of us and good stewardship demands significant investments. The weighting in different portfolios will depend on each investor’s passions, time frame, and capacity. But the simple truth is this: donors — especially high net worth individuals — need to strongly consider graduating to World Vision. My hope is that right now, when you look at where you are in your lives, and when you look at eternity, you’ll discern the right place for World Vision in your investment portfolio.